Yes! 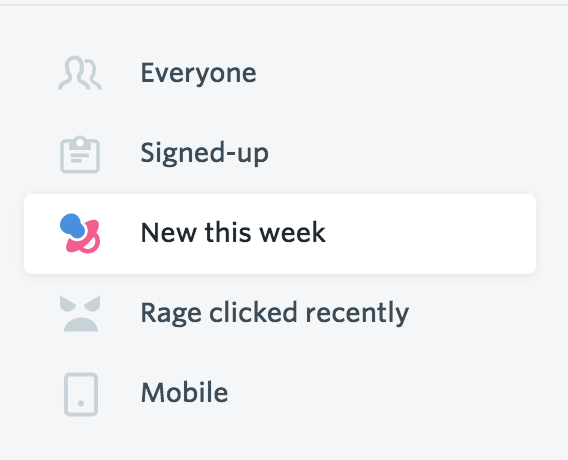 You can visit the "New this week" segment in your FullStory account or use the First seen query to build custom segments of new visitors. One important fact about FullStory is that it coalesces all of a user’s sessions from all time. (Yep, every user session from the time you install FullStory to the moment you’re reading this sentence.) That means the users may have already visited your site, potentially days or months, before they actually signed up for your product or began a subscription with you. In fact, if you've ever clicked the "New this week" segment in FullStory (this is a pre-made segment that all FullStory accounts have in the lefthand navigation), then you've already seen the First seen query in action. FullStory will automatically delete older sessions based on your data retention settings, that is, the number of months of history you choose to keep in your account. When FullStory does this, any "user tip data" such as First Seen is preserved, even if the original session in which the user was seen had been deleted. 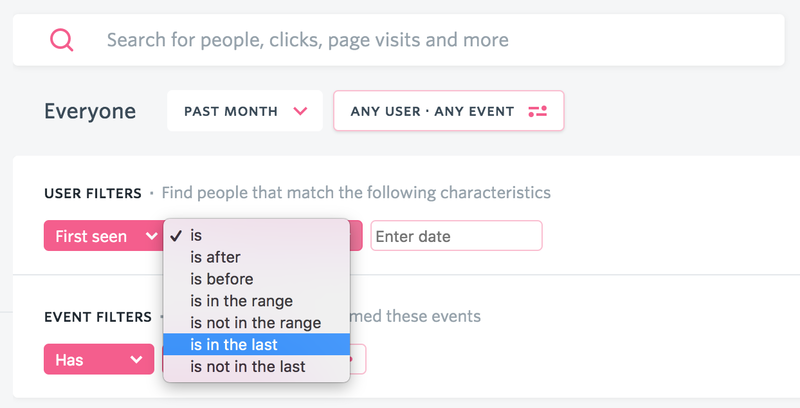 For example, if someone first visited your site 6 six months ago but your data retention settings are 3 months of history, FullStory will report the first visit of the user as 6 months prior even though the session associated with that visit had been deleted. The only exception to this rule is if, when FullStory deletes old sessions, all the sessions for a particular a user are deleted, all of the "user tip data" for that user will also be deleted. This happens if someone e.g. visits your site once and never comes back. For example, let's say you retain 3 months of history. A customer visits on January 1 but doesn't return to your site. Around April 1, the sessions for that customer will be deleted, including the "First Seen" value of January 1 for that customer. If the same customer returns to the site, say, on May 1, FullStory will now report their First seen value as "May 1". Hopefully you never come across a scenario this complex! But if you do, the above explanation should come in handy.